The Works and Genius of David Fincher: Space Alien? No wait, it's actually Kevin Spacey and Alien 3. Not in context though. Spacey says, “If I could do everything with David Fincher, I would,” which much parallels my personal obsession — I think every movie should be a Fincher movie. 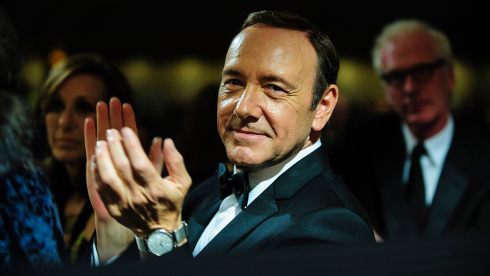 But in addition, Spacey talks a little about his passion for stage acting and some about the second season for "House of Cards". Oh, and there's that: Video proof that almost everybody seems to have had fun on the set of Alien³ — except Fincher of course.